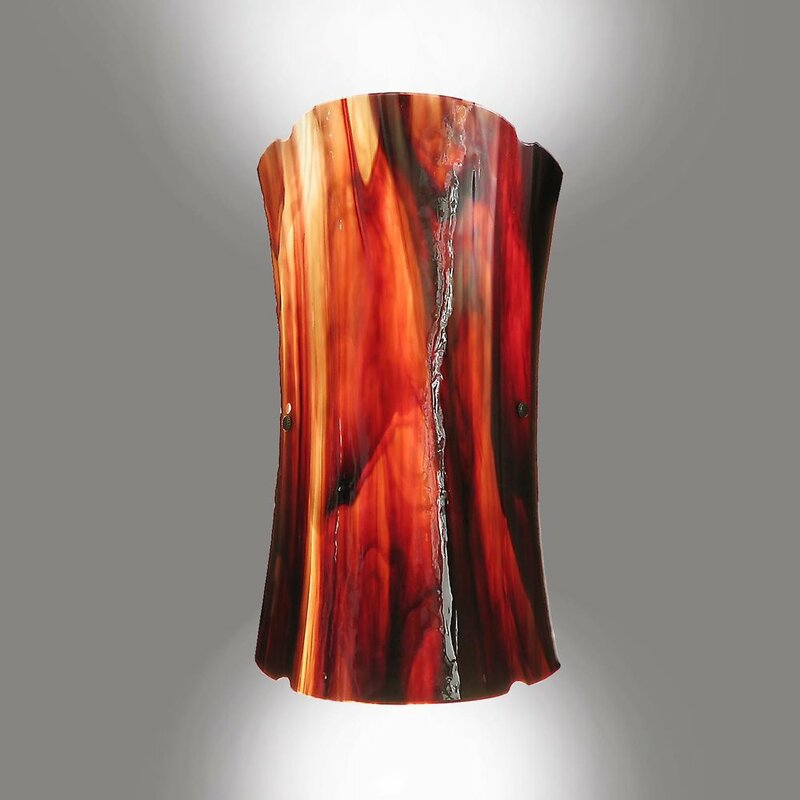 This is a sister sconce to our #F431 wall sconce. It is narrower and is symmetrical both laterally and vertically. Feel free to choose any of our many glass colors and textures. A pair of these on either side of a mirror would be a wonderful addition to any bathroom, powder room, etc. This sconce can also be used horizontally, again above a mirror if so desired. The sweeping form is a combination of positive and negative curvatures and is a wonderful focal point in any decor scheme. 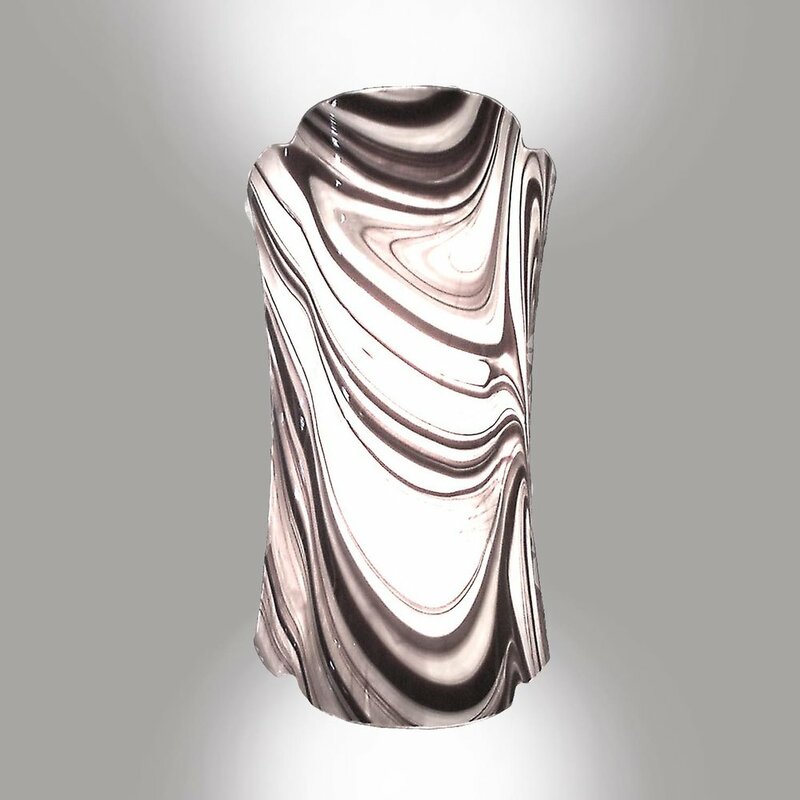 This glass has a dramatic warmth, reminiscent of marble or alabaster. The random quality of the figure in the glass assures that no two will be identical. We will be most happy to send you a piece of this glass, as with any of our glasses, for your assessment.